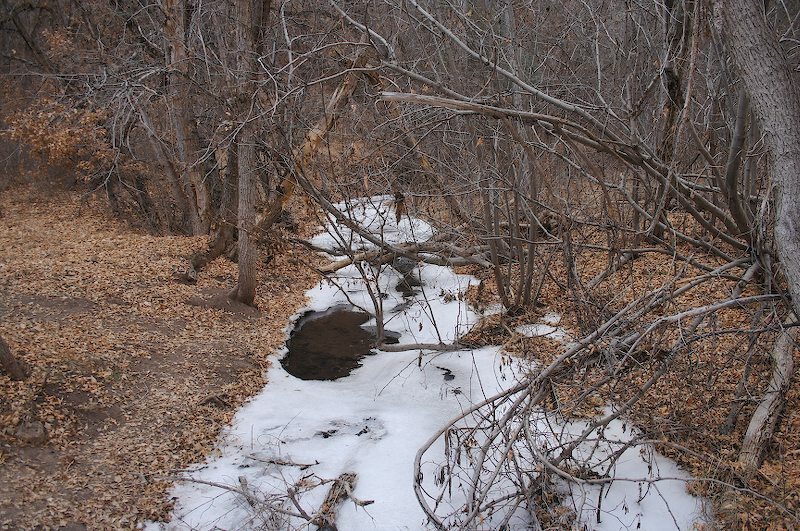 Caption: Frijoles Creek is mostly frozen over. Although New Mexico in general is not that cold in December (generally in the 50's during the day), the canyon is sheltered enough to get considerably colder than the surrounding plateau. The bottom of the canyon is much like New England, with an actual forest in it.